Money Hunting Online! 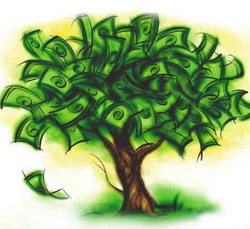 - How to earn money online? There are major changes in Humanatic a couple of weeks ago. I'd say that it's an improvement though there are disadvantages in some ways. 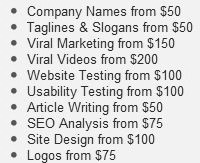 I am an active call reviewer in Humanatic so I have noticed a lot of changes, call review prices were lowered compared to what was being offered before per tag. Projects were added to some reviewers but not to everyone so it's a little disappointing to some because their projects got lessened. Since there was an upgrade of the system, I think it were changes in servers, there were a lot of glitches happening in the past week but as of this moment everything seems to be fine. They have been online since Feb 2011 and I can definitely guarantee that they are legit plus their support team especially Prisma Garcia is great and kind, though they may not be able to respond right away, I'm pretty sure that they will once they get to have time. Here's the message posted in their application page. Earning money by tracking calls online? Is it even possible? Well, that’s what Humanatic will give you as a call tracker, more known as Human. 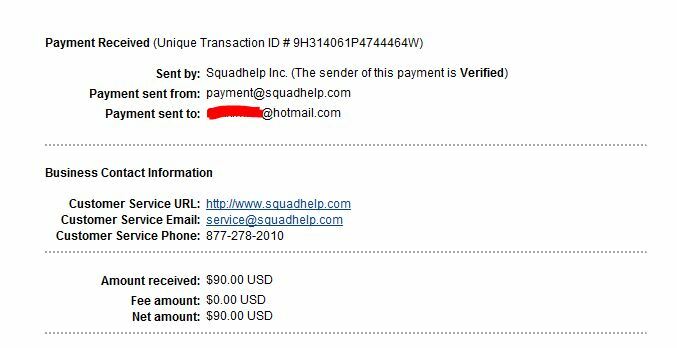 I have been a member of this site since 2011 and I could say that I am earning at least $100 a week depending on the amount of time that I’ll be able to allot. There are certain projects that will be given to Humans, I am not really sure what other projects are being given to other Humans but I am lucky enough to get at least 2 projects which is shown below. What you’ll just do is to track calls and learn to identify the calls if it fits into any of the categories. The amount you can earn in each call is 3.9₡ and that’s in New Business project whilst the Answered Outbound Call is 1.1₡ per successful tag. 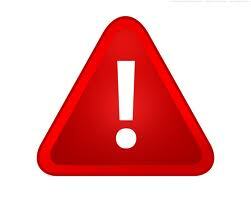 However, you need to make sure that you tag each calls accurately otherwise your accuracy will more likely be reduced. If this continues then the projects may be suspended by the admin or might even be disabled permanently. This is what I am working at. Tagging calls and identifying which category the call fits into. 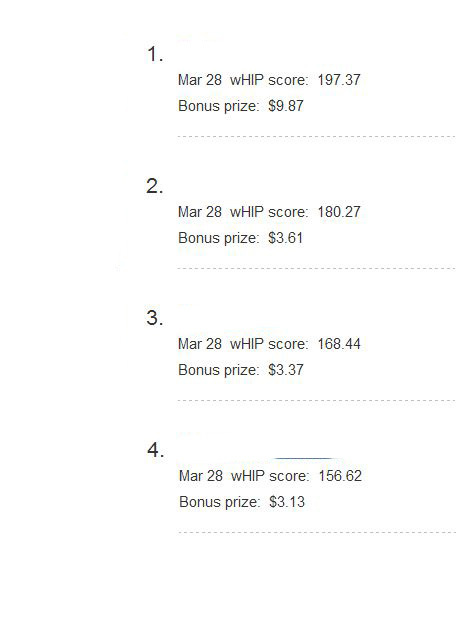 The wHIP score is something to look forward to in Humanatic as it will define the bonus that you’ll get everyday if you’re eligible. That is the good thing in Humanatic; they give you a bonus if you perform well. That is, if you don’t get audited calls, negative wHIP, and if you reach the leaderboard and the threshold then you’d likely receive bonuses up to $12-$15. Here is the proof of payment that I am getting paid in Humanatic. Payout is being requested every Monday thru Paypal so you’ll receive your money within the week then. Reid Wakefield is the person who sends the money to Humans once paid out. As of the moment, they are not hiring Humans as they are currently full of workers so if you would like to give it try then come back after a few days or weeks. Do you like to listen to songs that have not even been released yet? Do you appreciate songs that are not sung by your fave band/singer but by random singers who are not even popular world wide? Well, have you got the ‘music critic’ in you? And lastly, do you want to earn money by just rating and reviewing these songs? If you answered ‘YES’ in all of these questions, then you have come to the right place. 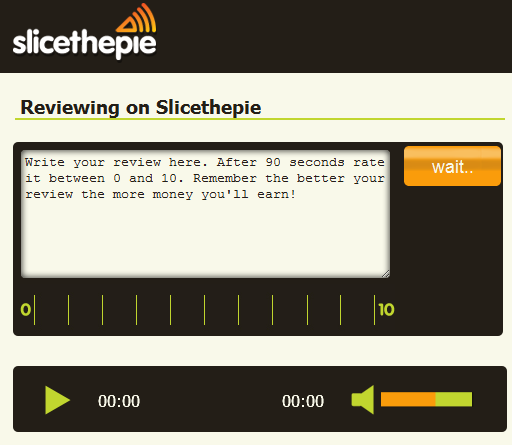 There are a few sites like SLICETHEPIE that pay you for reviewing the music of the not-so-popular singers or would just simply want to have the song reviewed. All you need to do is to rate the song, write a few lines about what you think with the song and that’s basically it. 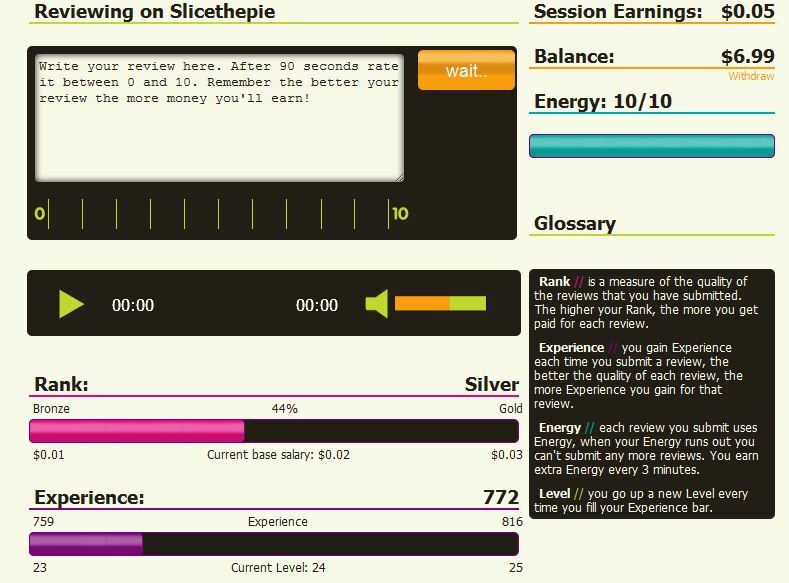 SLICETHEPIE had just recently changed the design of their web site which now has a cooler interface than before. 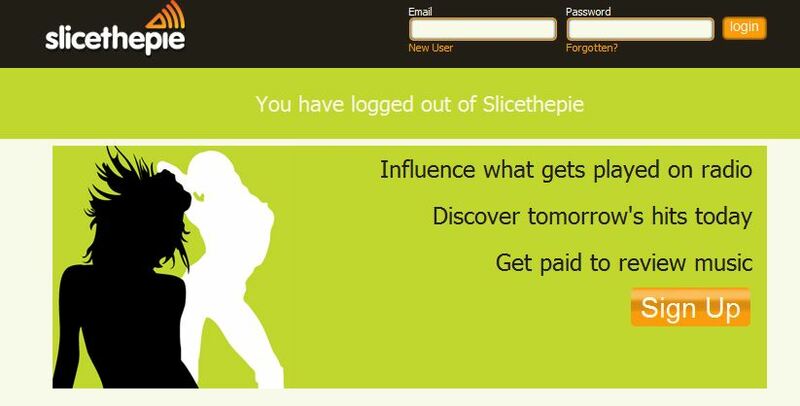 The threshold forSLICETHEPIE to get paid is for $10.00 and the basic rate for songs are ranging for $.02 - $.20, I myself have been reviewing songs for a few days now and upon researching, this site appears to be legit. Well, I’ll be able to definitely prove that by the time that I get paid or reach $10.00 of course. Payments are being made thru Paypal so better yet, make sure that the email account that you use with Paypal is the same with what you register with SLICETHEPIE. The image above is where the music is being reviewed. The white box is where you input what you think about the song, judge it and say whatever improvements you think is better for the singer to be informed. The review you'll be making, depending how long and how sensible it is will also define the amount that you'll be receiving aside from the ratings that you will be giving. Now you should be able to listen to the song properly as you won't be able to repeat or rewind it again after 1 play. The 0 - 10 is where you'll be rating the song whether it did create an impact to you and if you think the song will also be liked by others or by the majority. So if the majority chooses 6 out of 10 and you have chosen it as well, then most likely you get to earn more. So this is how the scout page looks like. You get to review, rate it from 0-10, and the glossary will tell you what others are for.